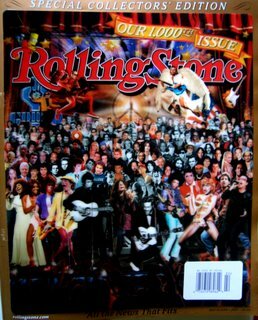 As promised last year, Rolling Stone today came out with a lenticular 3D-looking stick-on cover to celebrate its 1000th issue. 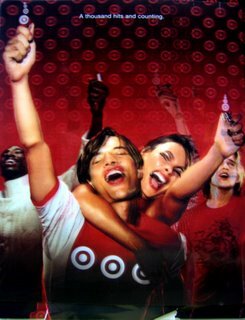 The back cover, also lenticular, is a Target ad that promotes the Rolling Stone Cover Album. 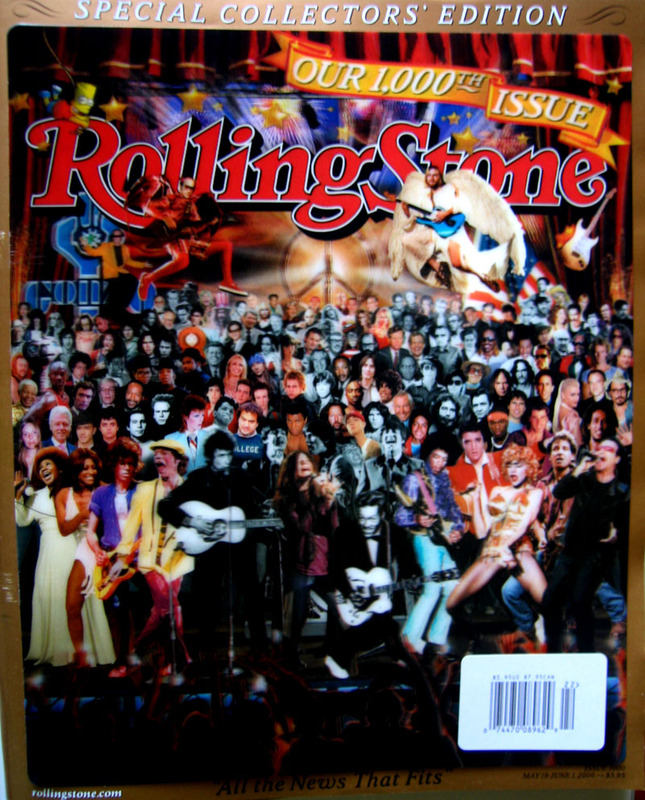 Washington Post runs a feature on the magazine's history and offers a few details about the cover itself.